RUSH: Hey, anybody in there go to Starbucks? Go to Starbucks? Well, you can’t go in there today because they’re shut down. This is racial sensitivity retraining day at 8,000 different Starbucks stores. Right here, 8,000 Starbucks are closed so that their employees can be reeducated. Reeducated. It’s the United States of America, for crying out loud. Reeducated? Why don’t we just call it reindoctrinated, and why don’t we call it a camp? For crying out loud. They’re gonna be reeducated about racial tolerance. Which is code for discerning white privilege, especially if you are white. If you’re not white, you’re gonna be taught how to spot it and see it. If you are white, you’re gonna be taught to admit that you are guilty of white privilege and that you are to stand down. By the way, greetings. Great to be back. Snerdley walked in here today, said, “Boy, it’s so great to have you back. I mean, it’s just incredibly miserable around here when you’re not here.” And I said, “Okay, what do you want?” He-he-he-he. Ah, it’s good to be back. Had a fun time off, but always great to be back here. Anyway, 17,000 Starbucks employees today in their reeducation camps. 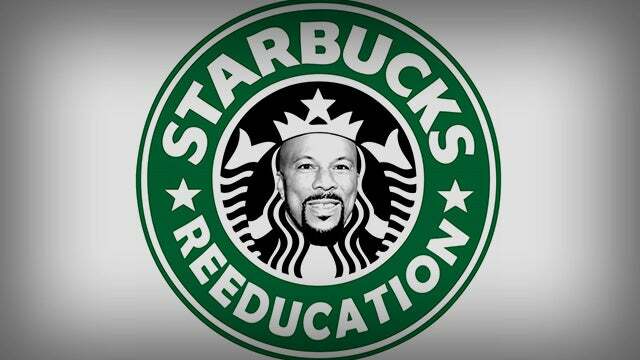 One of the videos that they will have to watch as part of their indoctrination will feature the rapper known as Common. Do you know who this guy is? I’m sure you do. Everybody knows who he is. You may not know his real name. He’s currently being used in Microsoft commercials to talk about technology and how far ahead of the game we are, how life has never been better because of tech and how you can use it and so forth. He’s always at the Academy Awards. Whenever there’s an African-American movie or nomination or something he always managed to be involved in it. He is a rapper. His real name, you ready for this, Lonnie Corant Jaman Shuka Rashid Lynn, Jr. Did you know that that was his name? Again, Common’s real name is Lonnie Corant Jaman Shuka Rashid Lynn, Jr., and one of his famous songs celebrates the former Black Panther Assata Shakur who was convicted for shooting a New Jersey police officer in 1973. Now, that’s tolerance. That’s the kind of tolerance I guess that Starbucks employees are going to be subjected to. What in the world? Every day we wake up and the left continues in this insane spiral that they’re in. You know, if they want to spiral down to all of this insanity and craziness, fine, let ’em; but the problem is that they’re demanding everybody go with ’em. They’re demanding that everybody follow them. Oh, sorry. Wrong word. They’re not allowing anybody to follow. They’re demanding that everybody must go with them in this downward spiral.